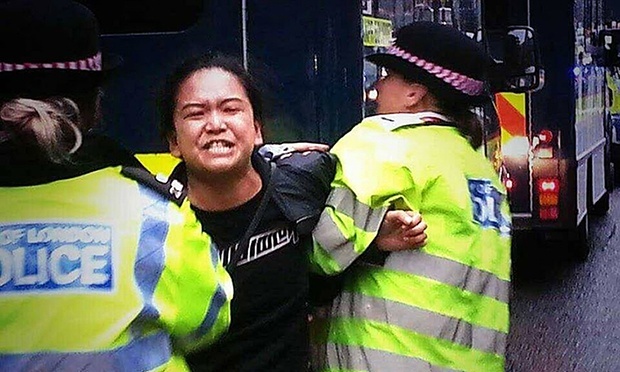 (TibetanReview.net, Oct23, 2015) – In an anxiety to ensure that the visiting Chinese President Xi Jinping saw or heard no protests against him, British police arrested Two Tibetan women on Oct 21 outside of London’s Mansion House where Xi was speaking to business leaders, reported qz.com Oct 22, citing the Tibetan Community in UK, an activist group. Besides, a Tiananmen Square crackdown survivor was also arrested and detained overnight, added scmp.com Oct 22. The Tibetan women “attempted to wave Tibetan flags at President Xi’s passing car and were forcefully taken away by police,” the qz.com report quoted the group as saying. Britain’s Metropolitan Police has confirmed the arrest of the two British Tibetans, but provided no further details. The police were cited as saying a man was arrested in the bank area to prevent a breach of the peace while two women were arrested nearby shortly after, also to prevent a breach of the peace. 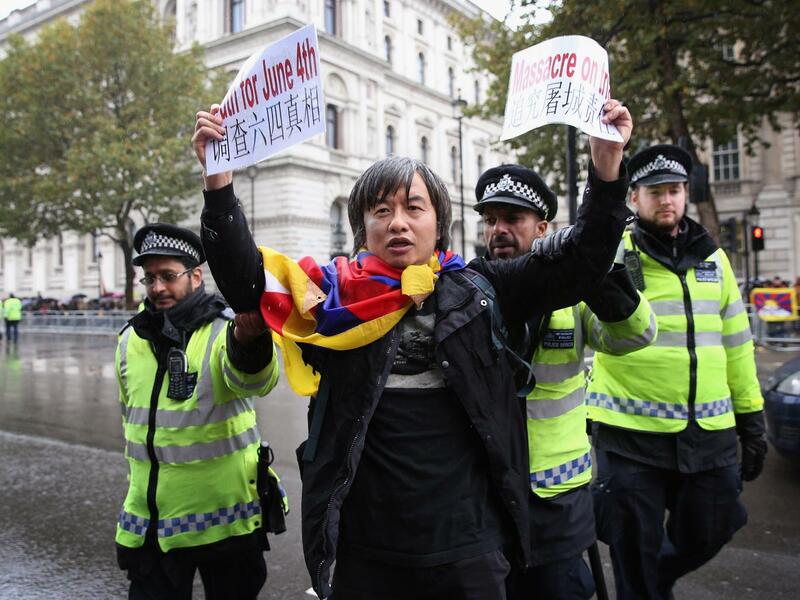 The report cited eyewitnesses at the London protest as telling members of the Tibetan group that the women were at first told that they wouldn’t be arrested, “but then an order later came to make arrests.” The man is believed to be Chinese democracy activist and Tiananmen Square veteran Shao Jiang. He was a leading figure in the 1989 student movement and helped draft a list of demands during the Tiananmen Square pro-democracy protests, noted the SCMP.com report.